The story of Thomas Jefferson's three daughters — two white and free, one black and enslaved — and the divergent paths they forged in a newly independent America. To a nuanced study of Jefferson’s two white daughters, Martha (born 1772) and Maria (born 1778), [Kerrison] innovatively adds a discussion of his only enslaved daughter, Harriet Hemings (born 1801). The result is a stunning if unavoidably imbalanced book, combining detailed treatments of Martha’s and Maria’s experiences with imaginative attempts to reconstruct Harriet’s life … Martha and her daughters prompt Kerrison’s musings on women’s education, for ‘in spite of all their scholarly attainments, they remained, after all, women,’ with no obvious way to use their learning in their own day. And Harriet, who passed as white, most likely abandoning her family in the process, prompts Kerrison to wonder about the persistence of racism in American society. More scholarly than lyrical, Jefferson’s Daughters pieces together letters, oral accounts and myriad biographies to craft a meticulously researched portrait of Martha and Maria, Jefferson’s children with his wife, Martha Wayles Jefferson, and Harriet, whose mother was the enslaved Sally Hemings … A highlight of Kerrison's work is that while noting the gender constraints that hemmed in white women, she does not sugarcoat their privileged status, nor deny their racism … Jefferson's Daughters offers a fascinating glimpse of where we have been as a nation. 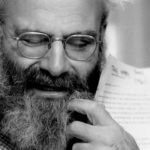 Jefferson’s Daughters is as much about the father as the daughters, and it’s not a flattering portrait … Jefferson’s Daughters is a richly textured and satisfying book, but there is unavoidable frustration in the author’s many caveats – that Maria ‘may have’ done this or that Harriet ‘probably’ did that. We simply don’t know. Still, this is a striking portrait of how women in Jefferson’s era lived, bravely and resourcefully, in an age that demanded fealty and absolute obedience to men. 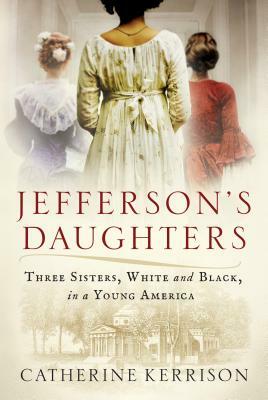 What did you think of Jefferson's Daughters: Three Sisters, White and Black, in a Young America?